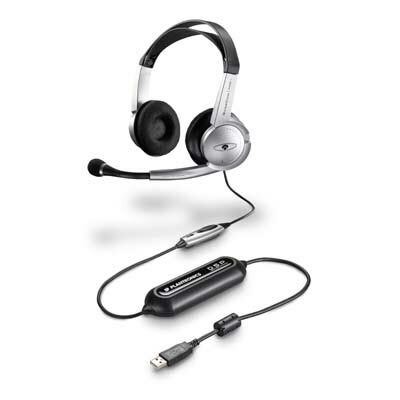 Take command of your gaming experience with the Plantronics GameCom Pro Digital Stereo PC Gaming USB Headset. The Plantronics GameCom Pro headset offers rich stereo sound with maximum bass, and is great for gaming as well as listening to your favorite music. With a convenient inline volume and mute control, and a noise canceling microphone to deliver exceptional speech recognition accuracy, this Plantronics USB Headset is the best choice for an extraordinary gaming experience. 40mm speakers for maximizing bass response – feel the game!